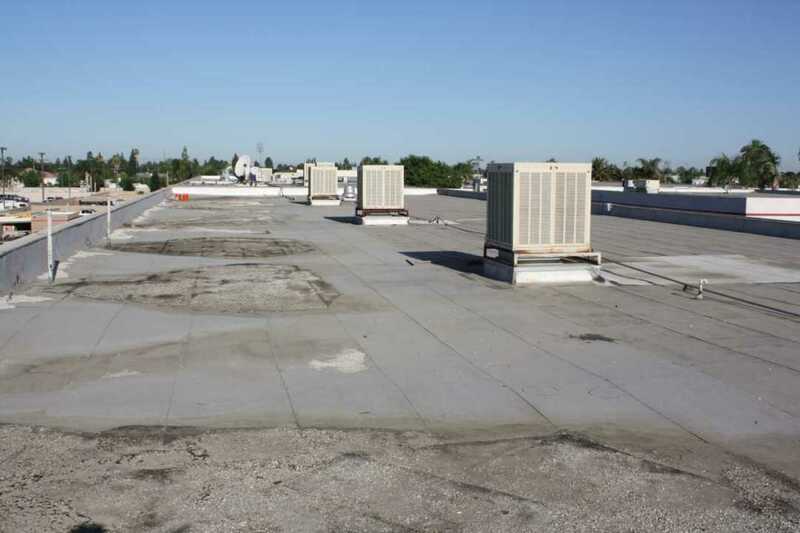 Most flat commercial roofs have HVAC systems installed on them. The main reason for having rooftop HVAC units is because it’s easy to add another unit on a flat roof when your business grows. However, because rooftop HVAC units are in a remote place, it’s not as easy to hear and notice the red flags that can suggest problems. In most cases, service calls can be avoided by properly maintaining the HVAC system. If you have a rooftop HVAC unit on your flat commercial roof, here are some basic maintenance guidelines. Air filters need to be inspected about every three to four weeks to see if they need to be cleaned or replaced. Keep in mind that when filters are dirty, air flow becomes blocked. This can compromise a system, making it less effective. What’s more, dirty filters can mean that your air conditioner consumes more energy so that your electric bill is more. Furthermore, you need to clean the outdoor air inlet screens once a year. Examine the housing of the blower wheel and the motor as these are vital components for ushering fresh air into your building. In addition to decreasing the lifespan of your HVAC system, dirty blower wheels can place pressure on the motor and cause damage and unbalance. One way to suspect that there may be a problem is by hearing more noise from a unit. When outdoor and indoor coils are dirty, they don’t transfer heat as efficiently, resulting in an increase in operating temperatures. There’s also more pressure on the unit. Additionally, there’s less airflow through the condenser coil. Therefore, it’s important to inspect the indoor and outdoor coils. Use regular soap and water to clean dirty coils. For more intense cleaning, an evaporator cleaner may be used. You’ll need to examine the heat exchanger because cracks, rusts or gases can pollute the air supply of your building. This entails checking the igniter, burners and combustion section, if you have gas heat. Signs of ignition issues include hearing roaring, popping or vibrating sounds. When condensation from HVAC units occur, it can create localized ponding water. This can damage a flat commercial roof. Moisture from condensation can cause mold and vegetation to develop, along with airborne debris, which can lead to ugly stains. Fortunately, we have a product designed to prevent ponding water. Check the electrical wiring for any loose connections as this can be a safety hazard that could cause a fire. Besides looking for loose-fitting electrical connections and loose wiring, a typical electrical wiring inspection also involves checking for wires that are frayed or corroded. In addition, check for low and high voltage electrical connections. Check for any imbalances in voltage. A voltage imbalance should not be more than one percent, according to the Department of Energy. A voltage imbalance that’s greater than one percent can cause a motor to overheat and fail. A high amperage draw can indicate that there’s a mechanical problem, such as worn rods or worn bearings. It could also be a sign of a refrigeration issue. If your HVAC unit includes an auxiliary drain pan, inspect it to see if it needs to be cleaned as well as check the drain lines. Consider that when drain channels are clogged, water can’t properly move out of a system. This can damage a unit over time. Also, humidity is higher. Change the drive belt once a year. Each year, conduct a thorough cycle inspection to make sure that the dampers, actuator and temperature sensors are working properly. This entails inspecting the ventilation settings and dampers. Examine belts for wear, proper pulley alignment and for correct tension. Fan belts need replacing once a year as they undergo regular wear and tear. Once you’ve finished your inspection, ensure that all the panels are securely fastened and are in place. It’s a good idea to have some extra screws in case you have to replace ones that are missing. Do not strip or overly tighten screws. For more information about our product that can prevent ponding water, call RoofSlope. Please contact us and find out about our exceptional products and services.